Jon M. Ussin, managing broker-owner of U Bar S Real Estate, was born and raised in Montana, with higher education from Eastern North Dakota. 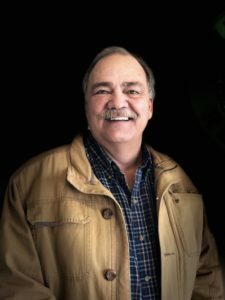 Jon has been selling Montana real estate for 35 years, is a multi-million dollar producer, and the owner-operator of several Montana businesses and ranching properties. Jon loves to golf and fish and spend time with his wife Sylvia and their three daughters, three son-in-laws, and four grandchildren. No parcel is too large or too small. Every deal is a Big Deal!!!!! 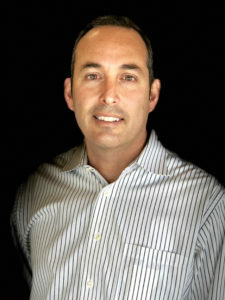 Carlos Davey has been an agent with U Bar S Real Estate since 2005. Raised in Lima, Peru, Carlos attended Oklahoma State University with a degree in industrial engineering and Pepperdine University for a Masters in Business. His working experience includes 6 years of Corporate Banking, 2 years of Investment Banking and 10 years in Real Estate with UBARS. Carlos brings a wealth of financial and investment knowledge to his work. Outside of work Carlos loves the outdoors and to be active with his wife Amber their two girls, Adriana and Fiorella. Carlos played field hockey for the Peruvian national team and has a deep passion for soccer. He assists coaching the Senior High boys soccer team and now gets to coach his daughters as well. A native Montanan, Dave Route has been a real-estate agent with U Bar S since 1999. Prior to that Dave worked at Village Inn Pizza for 26 years. Starting out washing dishes there as a teen, Dave bought and operated the successful business until selling it 1998. Aside from his business and career, Dave has worked on farms and ranches since high school, and he enjoys helping his family with farming, running cattle and irrigating. Dave prides himself in his family; his wife Kerron, his three children and two grandsons. 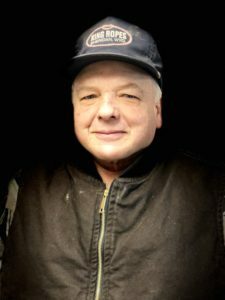 He loves to fish, fix things, go tubing with his grandsons at the farm’s creek, garden at his farm in Joliet and help his father-in-law on the ranch in Shawmut and Lavina. Dave’s steadfast dedication and depth of experience make him a strong asset to our team. Thomas J. Stusek – E.S.Q.